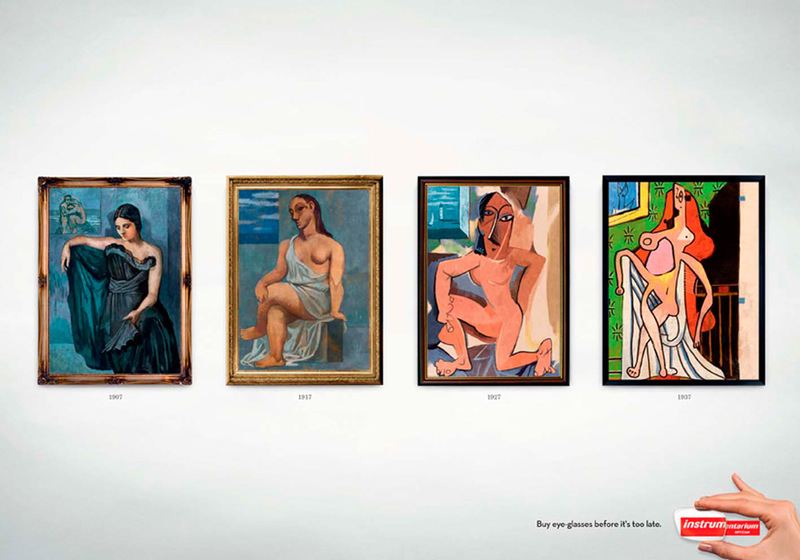 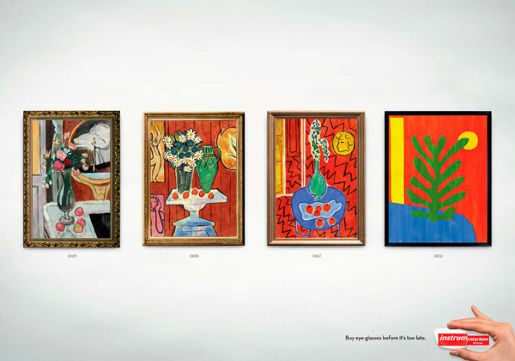 Instru Optics in Finland is using well known painters Pablo Picasso and Henri Matisse to demonstrate the need for eye glasses. “Buy eye glasses before it’s too late” is the tag line associated with what could be interpreted as a deterioration in style over the years. The Artists campaign was developed at TBWA\Helsinki, Helsinki, Finland, by creative director/art director Mikko Torvinen, art director Ossi Honkanen, copywriters Erkko Mannila, Tommy Makinen and Antti Toivonen, illustrator Tommi Vallisto, account supervisor Kirsi Pärni, art buyer Eija Anteroinen.